For a traditional Christian the answer to this question is pretty straight forward, but how does a progressive Christian answer it? How the the first cell came into existance is nothing to do with evolution. The creation of life is a seperate topic that nobody has yet proposed a solution for. I believe the the Universe started with the Big Bang as the scientists claim but I believe the Big Bang was caused by God. A vicar I know when he is asked by children if God made the Earth he says ,of course but if you want to know how he did it, go ask the scientists. You fundamentalists should be trying to work out a theology that is compatible with both scientific knowledge and common sence as well as the teachings of Jesus Christ. In England we have Chistian Unitarian churches that are part of the greater Unitarian movement. I attended one as a change to my local Anglican church. I was made welcome and felt at home there. Unfortunatly it was a ninety minutes drive away and that is a long way in England. During my exploration of Christianity I attended a few Utilitarian churches were I was made very welcome. I found that there was very little difference between their beliefs and those of Progessive Christians. The Utilitarian church has been about for a long time and I wonder why there has not been some sort of link up between them and us and why there is never any mention of them in the writings of Progressiive Christians. Roy. Thanks for reply, I will do as you suggest, regards Roy. Bishop Spong often uses the expression " ground of all being" but what does it mean? In this context what does the word "ground" mean? roymercer replied to BillF's topic in Introduce Yourself! 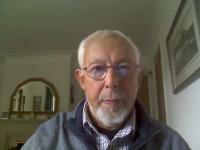 Hello, my name is Roy,I Iive in Cheshire in England, I am in my seventies I became a Christian about 20 years ago after several years in Buddism and have only recently discovered Bishop John Spong, I can accept almost every thing he says but if you accept everything what is left to try to convert anyone to Christianity, regards Roy..